This week lawmakers will meet for the second special session called in eight months. At a cost of $50,000 a day, and no formal agenda or tax plan presented by the administration, New Mexicans should feel like they are being taken for a ride. Although Governor Susana Martinez has announced her priorities for the reconvening—the budget, comprehensive tax reform, and confirmation hearings for her university regents—the focus of this special session should be the budget. Our universities have no state funding for their fiscal year, which begins in less than 40 days. In addition, thanks to her veto of the bipartisan revenue package, the state lacks about $156 million needed to pay for critical services like education, health care, and public safety, and to shore up the depleted reserves. With her term ending next year, it’s a good bet the governor wants to say she left office without raising taxes, and having her legacy be that she cut taxes 37 times instead. As you may know, this doesn’t fly with me. But her tone has changed and, citing a tax reform bill crafted by Representative Jason Harper, she now says she would be fine with taxing food as part of larger tax reform. The fact that she and several lawmakers are considering eliminating tax breaks that help children, students, the disabled, working families, and charities is simply another iteration of the administration’s reckless fiscal stewardship. Comprehensive tax reform is a good idea but it needs to be done carefully, not rushed in a three or five day special session. Broadening the tax base and lowering the rate is ideal, but to attempt to make these changes during a special session is irresponsible at best. Harper’s tax bill, House Bill 412, which the governor wants to use as a model for tax reform, tries to do too many things at once. It’s like trying to solve a half dozen 500-piece jigsaw puzzles all jumbled together without looking at the art on the boxes. Outside. On a windy day. Even during the 2017 regular session when the bill was crafted and introduced, the Legislative Finance Committee made note that, “it is impossible to score precisely the fiscal impact of this bill, or any tax reform bill of this magnitude.” In fact, of the 91 proposed amendments to the tax code, the fiscal impact of 44—almost half—is unknown. This demonstrates that the executive’s plan to change New Mexico’s tax code is built upon 48 percent uncertainty. Below are a few bad bits of the bill, should you want to know what’s at stake. Seriously? I will never understand how, in a state that has the second worst rate for child hunger, taxing food is ever a part of the conversation. Working families should never have to choose between putting food on the table and paying rent, or buying medicine for themselves or their children. The fiscal impact report claims a tax on food would raise $120 million for the state. Many New Mexicans enjoy the back-to-school tax free weekend. During the first weekend of August, you can buy school supplies, clothes, and electronics tax-free to make sure your kids are prepared for the school year. The Harper bill would repeal this tax benefit. The state would make about $3.4 million which is merely .05 percent of the total state budget. Harper’s bill would also tax textbooks sold on college campuses. So if I’m getting this right, the governor doesn’t want to fund our universities while simultaneously wanting students to pay more on textbooks, which can already cost more than $300 each. This change should raise a little less than $9 million, or about .14 percent of the state’s operating budget. And people wonder why we don’t have a well-educated workforce. In New Mexico, there are more than 2,000 nonprofits registered as 501c3 charitable organizations, almost all of which already pay some form of gross receipts tax. Under the proposed bill, these organizations would be taxed much more than under current law. In New Mexico, the overwhelmingly majority (75 percent) of nonprofits serve individuals with low incomes and/or living below the poverty line, and a large margin (63 percent) serve vulnerable children, impoverished youth, working families, and homeless animals. Repealing this exemption is expected to raise $158 million. Under HB 412, you would have to pay taxes on all medicines or oxygen that are prescribed to you by your doctor. If you are on a medication that costs $50 a month, expect to be a paying an additional $40 a year just on taxes. So much for the governor’s “no new taxes” pledge. And if you need to purchase any hearing or vision aids or prosthetic devices, those will now be taxed as well. There are a handful of other changes related to health care that are expected to raise revenue but sadly this burden will primarily fall on New Mexicans who need medicine and therapy to live a quality life. Last, but certainly not least, are changes to the taxes on personal income and corporate profits. Dear reader, who is getting their taxes cut and who is getting their taxes raised? Yup, you’re right! Under HB 412, corporations would be paying 1.2 percent less in income tax, while the tax rate on New Mexico’s lowest income earners would almost triple from 1.7 percent to 5 percent. Although it’s not known how much this tax break for corporations will cost the state, we do know that $186 million will be primarily paid by the middle-class. If you’re wondering why some of these controversial options are being considered, the argument is largely based on the assumption that if the overall tax rate people pay on non-necessity goods and services is lowered, they are more able to afford taxes on necessities. So while paying a lower tax rate on things like jewelry, TVs, and movie tickets is nice, you don’t need any of these things in order to survive. But buying food and prescription drugs is unavoidable. Taxing goods needed to sustain your health is like a tax on living and breathing. A responsible measure to support the budget was introduced and sent to the governor’s desk at the end of the regular session but was vetoed. House Bill 202, sponsored by Representative Carl Trujillo, did several different things like taxing all internet sales, and increasing the excise tax on motor vehicles. In her veto message Governor Martinez cited her refusal to raise taxes, especially on New Mexico families. But for the governor, taxing food is okay. Taxing textbooks is okay. Taxing medicine is okay. Taxing hearing aids and prosthetic devices is okay. Taxing animal shelters is okay. Bipartisan collaboration and, more importantly, time and responsible leadership are required to undertake tax reform this large. Please, governor, stop taking us for a ride and do your job. 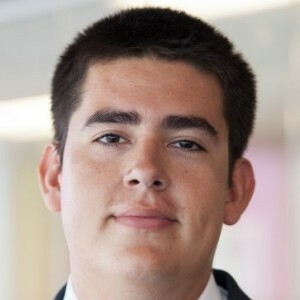 Raphael Pacheco, MBA, is a Research and Policy Analyst for NM Voices.